Why am I the bestOrange County Family photographer? Because my passion for taking photos that are unique and show personality is my main goal. As a result, your family pictures will be amazing. It is so important to take updated portraits of your family every year. Your children will grow up quickly and yes time does fly. I can honestly say this. 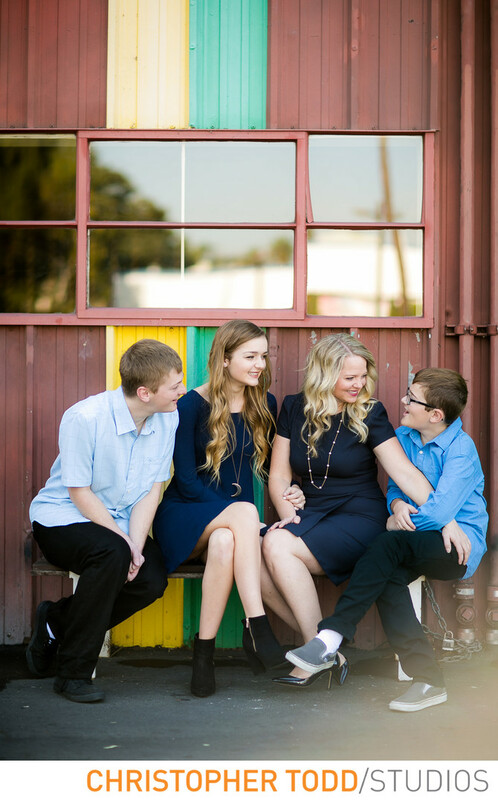 I love that this Orange County family had so much fun with the photo session that was held at The Lab in OC. I have over 17 years as an Orange County family photographer. I will guide you throughout your experience with me. From a custom style guide to ensure you and your family look your best. Also, I will photograph you in the best light and poses that are most flattering for your session. After the fun is all over from our time together I will help you choose your photo. It can be overwhelming deciding on the right portrait. That is why I offer to help. I can't wait to hear from you.Contact us here. Location: 2930 Bristol St, Costa Mesa, CA 92626. 1/320; f/1.8; ISO 100; 85.0 mm.